Server Colocation Hosting provides the maximum amount of control combined with peak performance; server colocation services with Utropicmedia means you have world-class facilities available for your equipment. As a leading server colocation provider Utropicmedia delivers technical and logistical services that are among the best in the industry. Monitored around the clock by engineering staff, Utropicmedia's data centers are designed to the highest industry standards: AC/DC power distribution, uninterruptible power supplies, backup generators, physical security and redundant fiber connections to major carriers. Server hosting services from Utropicmedia are highly flexible and can be designed to meet your specifications. Prices are negotiable with discounts for multi-year terms and multi-rack service. Contact us now for more information and best pricing. 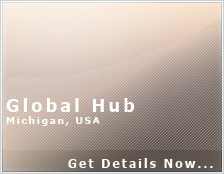 Our global hub is a telco-hardend facility specifically designed for international reach with low-latency transit, premium BGP bandwidth mix and classified dark-fiber services that combine to offer the leading value for data center services. Colocation services using premium resources means you get the best colocation value in the industry. Top-tier transit bandwidth providers, with multiple-times spare usage capacity ensures that even under heavy load our network won't fall over. Going beyond standard server colocation with advanced BGP announcements, ARIN IP support, Metro Ethernet services, advanced disaster recovery site hosting and more. Beyond the rack, cage and secure private data suites are also available. Colocation server hosting is the foundation secure IT services are built on. Get basic features such as remote hands, reboots, IP management and traffic graphs for your services but experience the managed colocation difference. Have access to hot-deployed services such as firewalls, load balancers, caching servers, CDNs, and more. While our primary Michigan data center provides a commercial, telco-hardened presence that is second to none, Utropicmedia remains the only provider to deliver colocation services in over 50 countries. Contact us now for more information on our international colocation services. Looking for DR site hosting? Utropicmedia can provide disaster recovery hosting space for your servers as well as secure data suites. Get details about Disaster Recovery site hosting services now or contact us for more information. Why Choose Utropicmedia For Server Colocation?